BOYSEN®, the leading paint manufacturer in the country, introduces its Color Trend for 2016. The defining theme of this year’s trends is man’s relationship with nature, with four palettes - Recharge, Renew, Recreate and Realm – that reflect the lifestyles of the modern Filipino in culture, design, fashion, technology, and media. Recharge - More Filipinos prefer to go into nature when they want to reinvigorate themselves, and there is an exodus to the beaches or the mountains when it is time for a vacation. This palette consists of exuberant blues and a dazzling orange, colors of rest and energy, reminiscent of Filipino landscapes. Renew - The zingy brights of nature—green, yellow and white—are the building blocks for this palette. The novelty lies in the combinations of old and new—in materials, in processes, or even in concepts. Recreate - Patterns and textures found in nature are the inspiration for this palette. A combination of these sophisticated colors—gray, copper, yellow and red—injects an edgy feel into spaces. Realm - This palette exudes a feeling of majesty, of grandeur and authority, as represented in the deep, pigmented colors of purple, pink, orange and yellow. 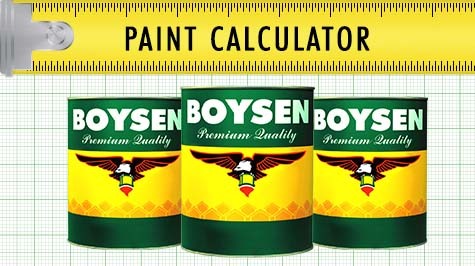 BOYSEN® is part of the Nova Paint Club, an international organization of leading paint companies from Europe, Asia, North America and South America. For over 30 years, Nova members have worked together, sharing their knowledge, insight and resources. One such privilege of being a member is having access to global lifestyle trends and colors and being able to share these perspectives with other color professionals abroad. The four color palettes are now available in more than 400 Mix and Match™ stations throughout the country.